Most IT executives who have managed a software implementation understand that "software is not a silver bullet". Even the most sophisticated IT departments using best-of-breed technologies require teams of professionals to adequately manage projects, budgets, timelines, and risk. Whether your company has a robust team ready to manage new or existing projects or not, we can help. Our experienced Professional Services team will work with you to design, implement, test, train, document, and/or support your solution to ensure success, adoption, and measurable ROI. MTS Software Solutions combines top-notch technology, expert insights, and quality customer service to maximize our customers' technology investments. We manage projects and deliver solutions that match clearly-defined customer expectations and aim to exceed expectations. 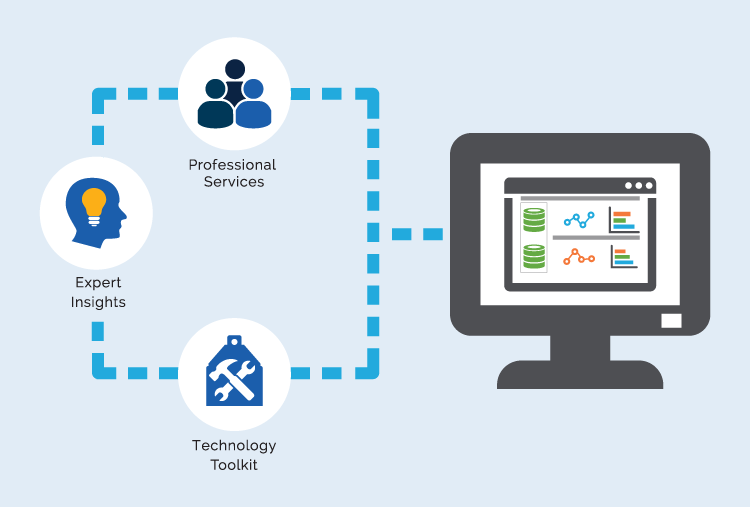 The MTS Professional Services team offers expert insights and certified technical expertise on a number of technology platforms. Our highly skilled business analysts and solution architects work closely with our Project Managers and Solution Consultants to ensure that the solution aligns with your business objectives. We offer a T&M basis or a fixed price contract. If your solution requires custom software development, our software development group will help you plan and coordinate the entire project with your business and technical staff.